I have a solution. I’ll bet you know what it is. Yes, it takes a bit longer (about 5 seconds to open a jar of store-bought pasta sauce versus roughly 30-45 minutes to make your own sauce), but trust me, your body, including your taste buds, will thank you for your effort! This recipe is super easy to make – but that’s not the best part of it. It’s flippin’ delicious and your house will smell fantastic, to boot! Also, for those of you who care, it’s only about 30-ish calories per serving. Winning all around! Preheat your oven to 425ᴼ. Cut each tomato in half. Scoop out the guts and strain juice into a bowl. Peel and quarter your onion. 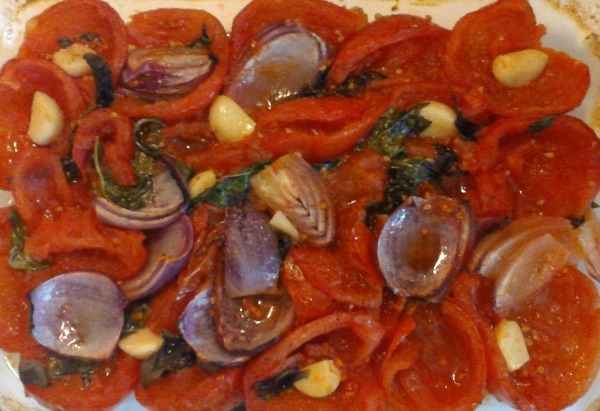 Place the tomato halves into a big bowl and add basil leaves, garlic cloves, and quartered onion. Drizzle with a tablespoon or so of olive oil and toss together. Put it all into a casserole dish or a rimmed baking sheet. I recommend pouring some of the strained tomato juice into the casserole dish to keep the bottoms of your veggies from burning (not too much; we’re making sauce, not soup!). Pop it into the oven to roast for around 25-30 minutes. Once your house smells super wonderful and the veggies are cooked through, pull them out of the oven and let them cool for 5-10 minutes. 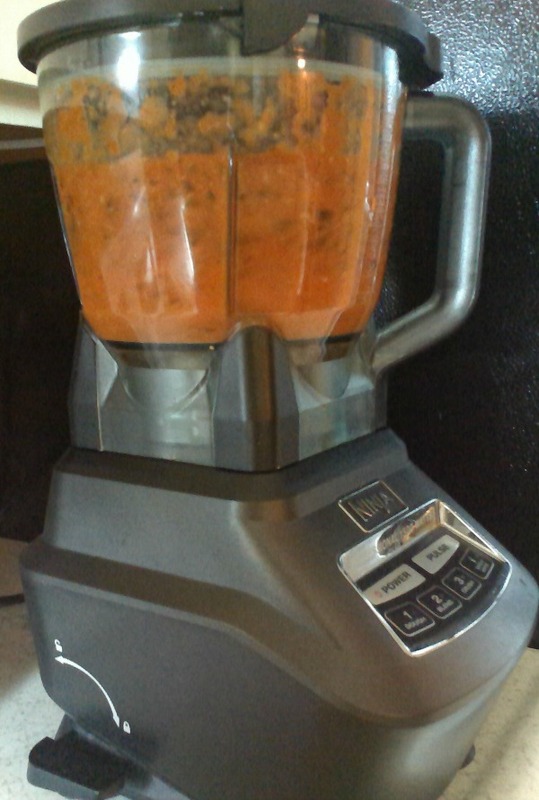 Using a slotted spoon, transfer the vegetables to the blender and puree. Add your chopped parsley and oregano, along with salt and pepper. 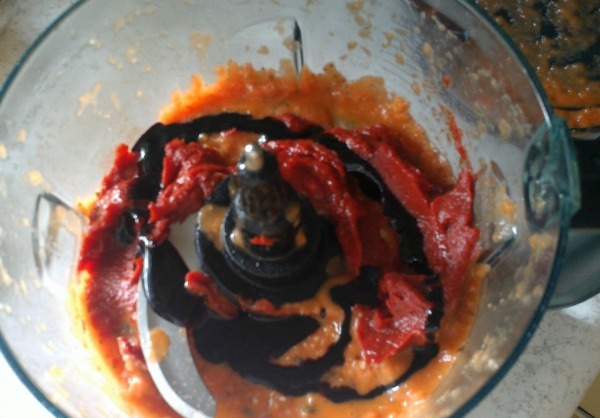 Puree some more, then taste. 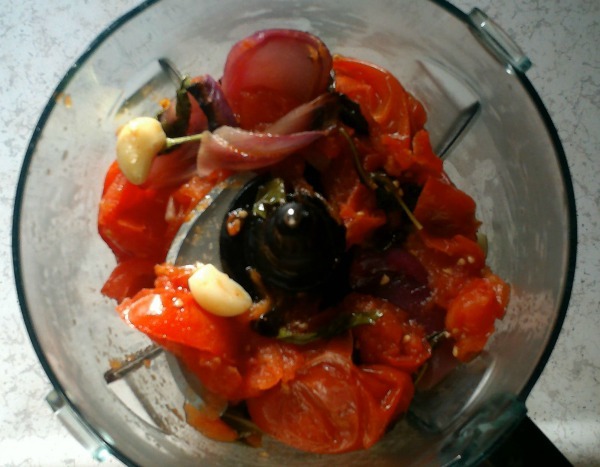 Adjust your seasonings as needed, then begin adding your tomato paste and balsamic glaze. There are no specific amounts here, since taste is purely subjective. Just start with about a quarter cup of tomato paste and a tablespoon of balsamic glaze and work up from there. Puree some more to blend. The sauce will still be somewhat chunky. I prefer mine this way, but if you want yours to be smoother, keep pureeing, or use an immersion blender. Voila! 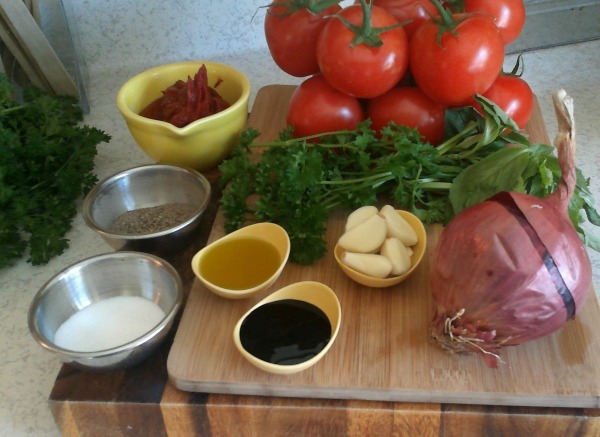 You have just made your own personalized marinara sauce – and you know exactly what’s in it! Now go eat! 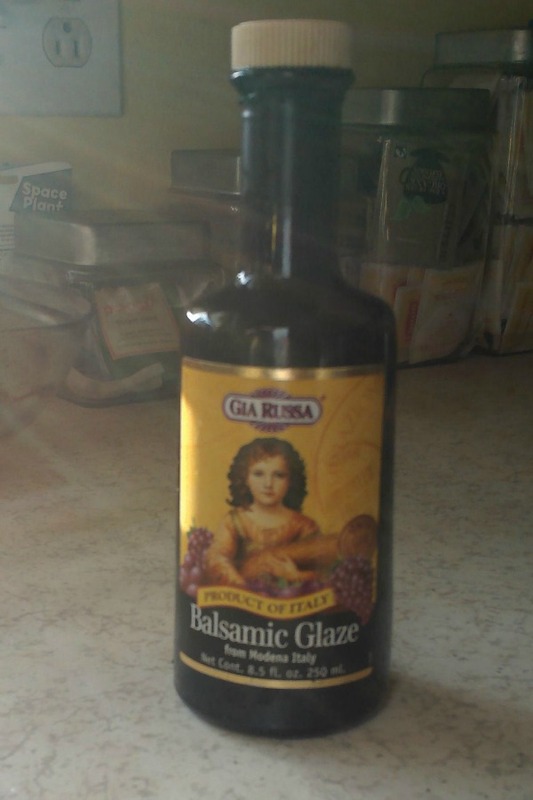 also you can use this as a mother sauce and create your own, like adding a little bit of cream or Parmesan cheese etc.